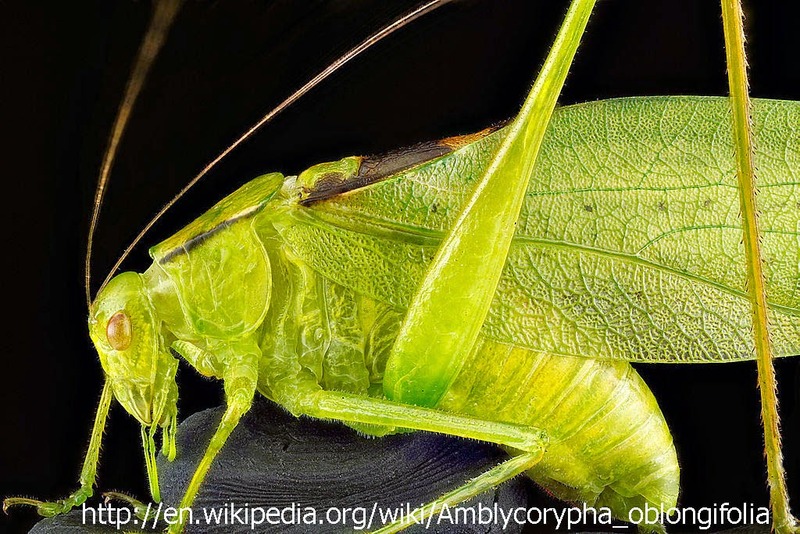 Amblycorypha oblongifolia is sometimes known as the oblong winged katydid. 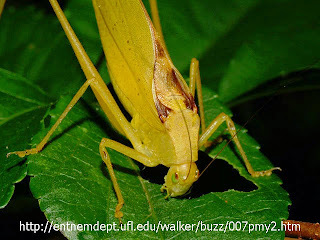 As its name suggests it is a katydid, which is a type of cricket. It usually doesn't look like anything special, but there is a recessive gene within the species which when expressed makes the cricket bright pink. 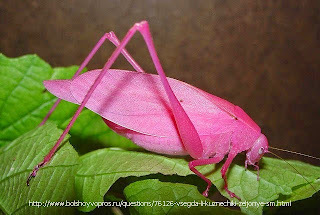 Pink is an unusual color for an insect, or indeed any animal and it gives them an unusual appearance. 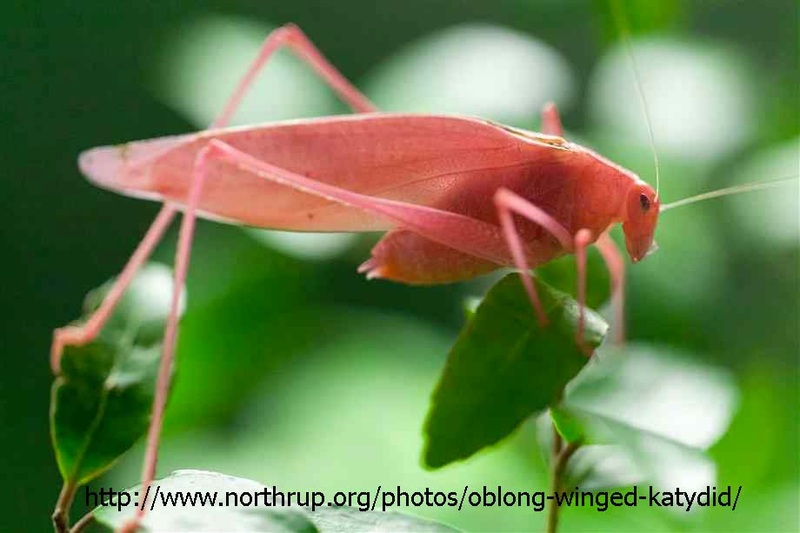 Oblong wing katydids have several other unusual color morphs. Oblong wing katydids are endemic to North America.